If you believe in Trap Neuter Return, there are so many ways you can help us fulfill our mission. For starters, we hold a Volunteer Work Day every second Saturday of the month from 12-4 pm at our facility in Camp Hill at 3909 Hartzdale Drive, Suite 905, Camp Hill. Tasks vary from month to month and rarely require specialized skills. Attend whenever you can...for a half-an-hour or all afternoon! This is a great way to get started and learn more about the foundation and its mission. Check out our Home Page for specific dates and locations. 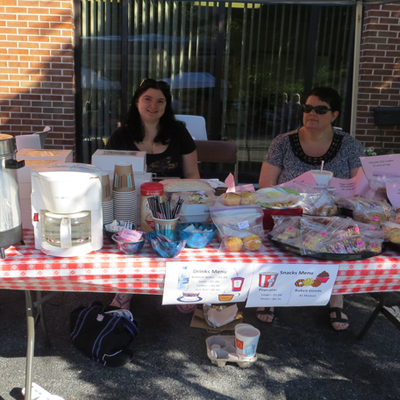 Coordinating or staffing events such as yard or book sales, breakfasts or dinners, and sandwich sales to raise funds for our programs. No event or activity is too small because every dollar helps a free roamer. 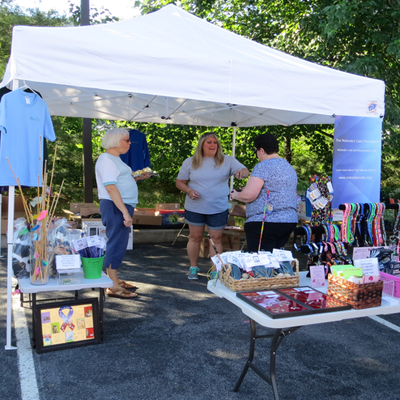 Staffing informational and fundraising booths for National Night Out, craft shows, or other community events. 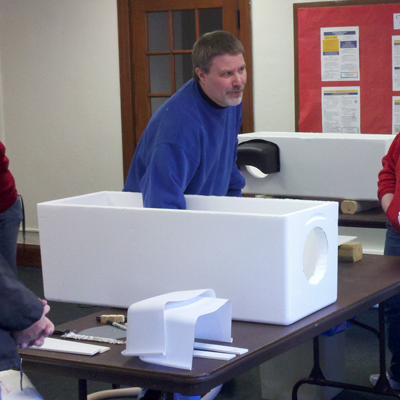 Building feeding stations and shelters and helping to distribute them to colony caretakers. 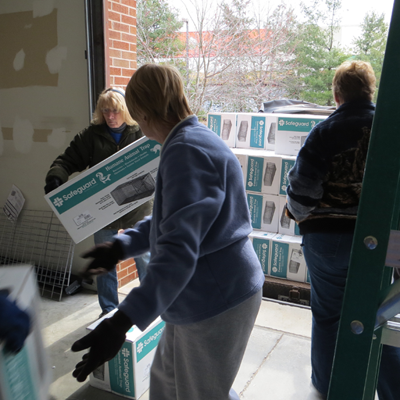 Helping pick up and deliver supplies such as cat food for colony caretakers. 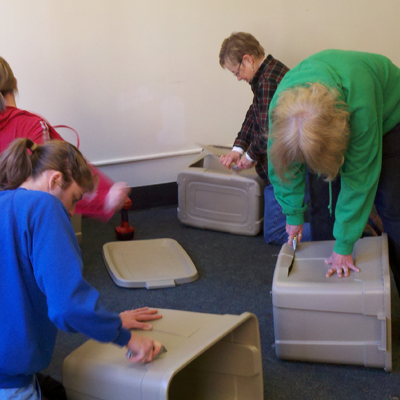 Organizing donations of clinic supplies and for our quarterly food drives from the public, including local businesses. Managing our fundraising program or supporting volunteer recruitment and retention.